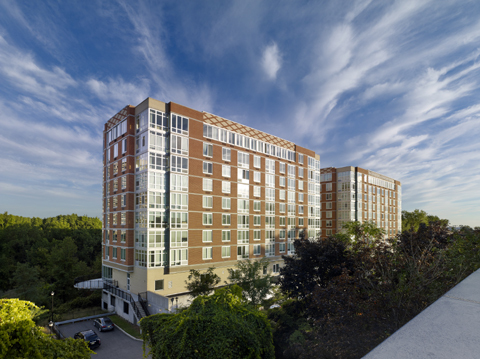 PALISADES PARK, NJ, – Cold and wintery weather hasn’t slowed the residents of Trio in Palisades Park from enjoying an active lifestyle at the upscale condominium buildings. The eclectic collection of resort-like amenities and services at Trio offers homeowners the opportunity to participate in a wide range of activities, even when the temperature drops and snow arrives. Found within the two nine-story high-rise building are a lounge with billiards, ping pong, a large screen TV and catering kitchen, a state-of-the-art fitness center, yoga studio, game room, virtual golf simulator, outdoor terrace and a business center. “Lifestyle plays an increasingly large role in a buyer’s decision on where to purchase,” says Honey Hwang, Sales Manager for The Marketing Directors, the exclusive marketing and sales agent for Trio. “There’s certainly no shortage of things to do at Trio no matter what the season. 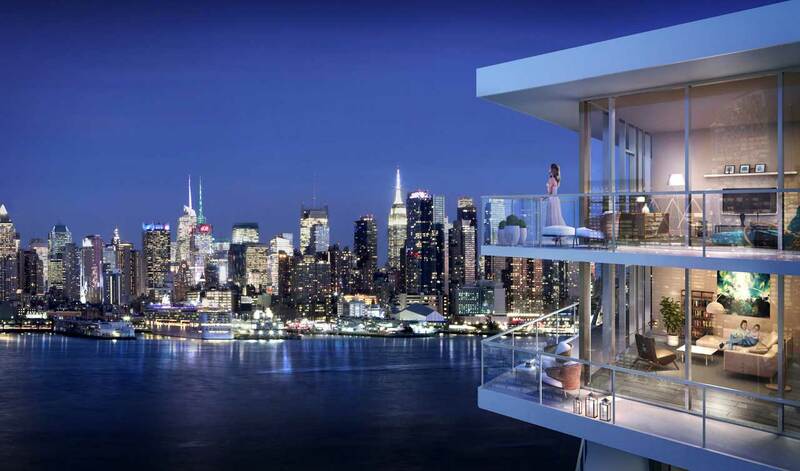 The world-class amenities are only one of the many attributes that have made Trio one of the most sought-after residential addresses on New Jersey’s Hudson River “Gold Coast.” Homes at the community boast designer interior elements and appointments to create a level of luxury today’s homebuyer desires. One-, two- and three-bedroom residences at Trio range in size from 742 square feet to 1,751 square feet and boast floor-to-ceiling windows, hardwood floors, and modern recessed lighting. Gourmet kitchens include granite countertops, stainless steel GE appliances, custom maple cabinets, and Kohler fixtures. Designer bathrooms feature Crema Marfil marble floors, granite countertops, custom maple vanities, and Kohler fixtures. All homes come with individual washers and dryers. Condominiums at Trio are currently priced from just $320,000 and are being offered with limited-time buyer incentives that provide up to $30,000 off new home purchases. Residences are available with immediate occupancy. The final component of Trio’s draw is an outstanding Bergen County location less than ten minutes from the George Washington Bridge and the business, social and cultural offerings of New York City. For additional information on Trio, please call (888) 479-1842 or visit http://www.LiveAtTrio.com. Union City’s Argentina Bakery named one of best bake shops in N.J.